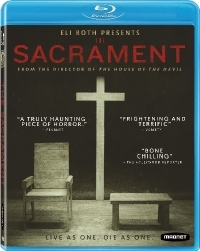 New on Blu-ray and DVD: The Sacrament! The Quiet Ones! & More! 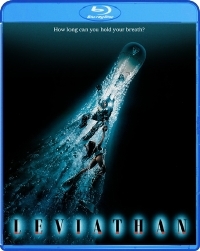 For a brief period in the late 80s, we got a ton of great underwater genre films including George P. Cosmatos', mostly forgotten, Leviathan. When I was a kid, Leviathan was pretty interchangeable with Deep Star Six which came out the same year and had equally striking box art. But Leviathan stands out as the better film in a number of important ways. First, the cast is uniformly strong. It includes Peter Weller and Ernie Hudson. Secondly, it was written by David Webb Peoples who also wrote Unforgiven, Blade Runner and 12 Monkeys to name only a few examples. And finally, the FX work was handled by Stand Winston Sudios, who were really the best in the business when it came to horror films at that time. Look, I'm not going to say the film is a classic something, but it's a fun relic from my youth and I'm pretty excited to see Shout! Factory give it a second life on Blu-ray. Ti West's latest is finally out on disc this week. I wouldn't say I was quite as fanatical about House of the Devil and The Inkeepers as some, but I really do dig West's indie sensibility when it comes to horror. His stuff feels fresh and he's not afraid go a little mumblecore at times which adds to the atmosphere of reality at times. I'm hearing great things about The Sacrament, which is about a group of Vice style journalists who visit a cult, and fully expect to spin it shortly. The Quiet Ones is Hammer Films' follow-up to the uber successful Woman in Black that starred Daniel Radcliffe and surprised everyone with its old-school ghost story vibe. I remember the trailers being very impressive and then the theatrical release sort of came and went without much fanfare. With Hammer's track record recently, I expect The Quiet Ones to live up to that standard so I'm looking forward to catching up with it. Well, that's it folks. With this, the show's second season, another post-apocalyptic television series bites the dust. 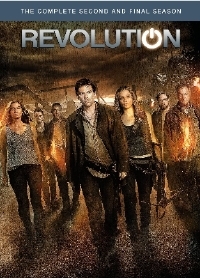 I always felt like Revolution was the closest we'd ever get to an Emberverse TV series. With Only Lovers Left Alive, American auteur Jim Jarmusch sets his eye towards the vampire tale only he could tell. In it, Tilda Swinton and Tom Hiddleston are two vampire lovers who have been together for centuries and are cultured intellectuals with an all-embracing passion for music, literature and science. If that sounds like something you're interested in, go on then. I can only assume the film is painfully slow. I honestly haven't cared for Jarmusch's work since the late 90s, so I'm out. I would like to add something about Only Lovers Left Alive. I'm mostly unfamiliar with Jim Jarmusch's work. That being said the movie was quite refreshing. Definitely moody at times, but simple and thoughtful performance by the actors. And if your a Tilda Swinton fan you'll fall in love with her character. Playful, curious, pragmatic, almost feline version of a vampire. I loved this movie immensely.